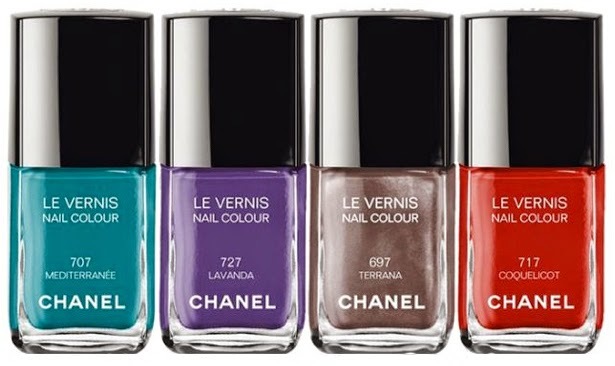 Chanel Méditerranée Collection for Summer 2015 Inspired by the blue Riviera sky. The Riviera of the Roaring Twenties was a favorite destination of Gabrielle Chanel. 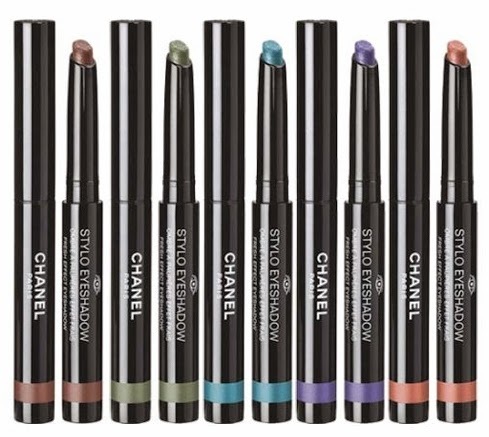 The brand brought back their popular eyeshadow sticks, and released some new summery shades of lipsticks, glosses and nail polishes. The star of the collection is the Lumiere D’ete golden bronze illuminator which will instantly warm up your complexion. 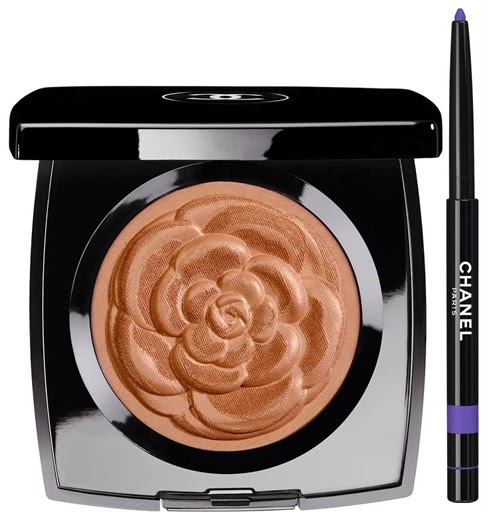 There is also a purple eye pencil, which you can see Sigrid Agren wearing on the promo photo on her waterline. 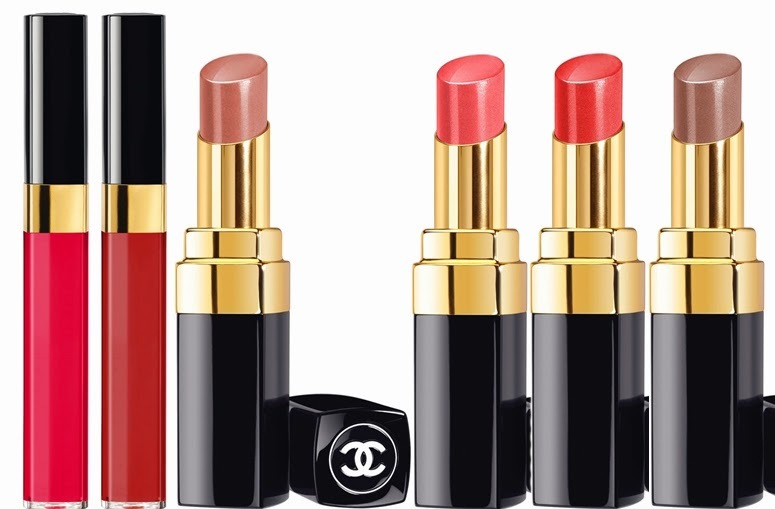 Makeup for the campaign is by Chanel’s new beauty Creative Director – Lucia Pica.